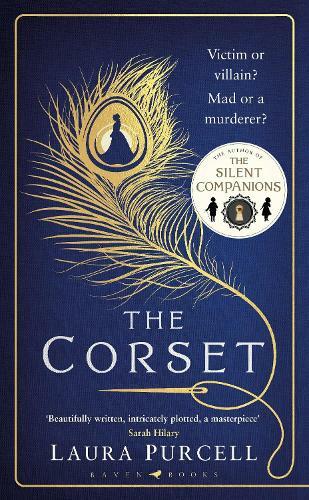 Following her hit gothic debut The Silent Companions, Purcell weaves a macabre tale of uncanny powers, social division and female subjugation set against the canvas of vividly drawn Victorian London. The new Victorian chiller from the author of The Silent Companions. Is prisoner Ruth Butterham mad or a murderer? Victim or villain? Dorothea and Ruth. Prison visitor and prisoner. Powerful and powerless. Dorothea Truelove is young, wealthy and beautiful. Ruth Butterham is young, poor and awaiting trial for murder. When Dorothea's charitable work leads her to Oakgate Prison, she is delighted with the chance to explore her fascination with phrenology and test her hypothesis that the shape of a person's skull can cast a light on their darkest crimes. But when she meets teenage seamstress Ruth, she is faced with another theory: that it is possible to kill with a needle and thread. For Ruth attributes her crimes to a supernatural power inherent in her stitches. The story Ruth has to tell of her deadly creations - of bitterness and betrayal, of death and dresses - will shake Dorothea's belief in rationality, and the power of redemption. Can Ruth be trusted? Is she mad, or a murderer? An amazing story - it had me gripped from the beginning. It is so well written and I enjoyed every moment however dark,chilling and acute it became.